Shingles are essential aspects of any home, yet many standard shingles don’t hold up to the elements. Wind, rain, and snow can wear down shingles over time, creating discoloration and a lack of protection from water damage. Select Roofing Consultants are leaders in installing roof shingles and shingle repair for any residence, providing only the highest-quality materials for homes, office buildings, schools, and churches. Based in Atlanta, we proudly serve the state of Georgia. Asphalt Shingles: Asphalt shingles are one of our specialties, and are valued by many of our customers all across the state. They are inexpensive and will last over 10 years in most cases. They now come in a variety of colors as well, to match the look of your home or office. Metal Shingles: Metal, another material we use in our shingles, can be helpful for home owners with steep roofs. Often, metal shingles look just like asphalt shingles and hold up against the weather and hot summer sun extremely well. 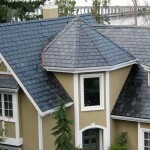 Slate Shingles: Our slate shingles are also one of our popular items due to their durability and gorgeous look. Slate shingles are basically indestructible and extremely versatile, but most of all they are unique and visually appealing. 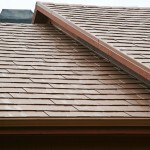 At SRC we believe slate shingles are a terrific long-term investment for any home. 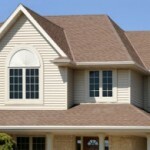 Tile Shingles: If you have a Spanish-inspired home, you may want to look into tile shingles. 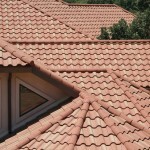 These types of shingles display a unique design and look, available in a variety of colors from Select Roofing Consultants, perfect for any home with a Spanish or Latin theme. They come in Terra-Cotta and other materials. Wood Shingles: Although less popular in Atlanta, Georgia, wood shingles are also available for individuals seeking to build a special retreat-style home. Wood shingles will give a more rustic, outdoorsy look, perfect for rural homeowners seeking to play up the natural angle. 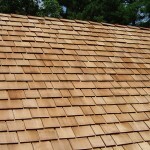 Homeowners should be aware of the fire danger of wood shingles, but it is a trade-off for their unique appearance. Counties we serve in Atlanta Georgia Area : Dekalb, Fulton, Cobb, Forsyth, Gwinnett Cities: Atlanta, Duluth, Lawrenceville, Alpharetta, Sandy Springs, Dunwoody, Marietta, Smyrna, Roswell, Brookhaven, Johns Creek, Vinings and Stone Mountain.